It just occurred to me (aka I got an e-mail asking what the heck am I growing in my gardens) that I’ve never actually broke it down and shared with you guys what exactly is growing in my Zone 4 flower beds (check your zone). I’ve done a lot of sharing about what is blooming at a certain points of the season, but never really shared the makeup of each garden. I think that probably has a lot to do with editing and trial and error. The gardens beds didn’t start out with plantings in the places they are now. For instance the first and second year I just had stuff placed radomly around the yard, it was kind of like my incubating period. I was waiting for perennials to get large enough to split so I could divide them and make my gardens filled out with better arrangements. I know that there is always going to be editing when it comes to caring for a garden, but I think I’m at a point where I can share what plants are working where and why. Let’s start with the side garden that runs the length of our backyard along the fence. 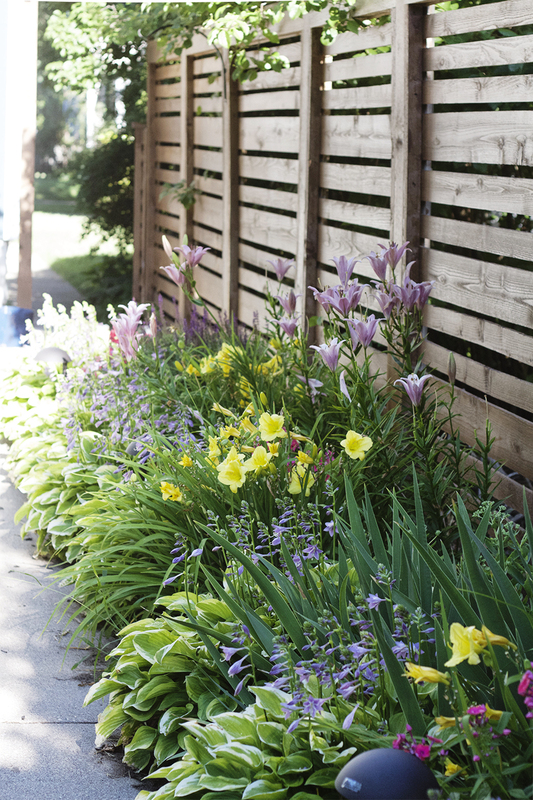 It’s about 3.5′ wide and 30′ long, and sits in direct sun most of the day – it’s doesn’t become shaded until late in the afternoon so sun-loving perennials are a must in this space. 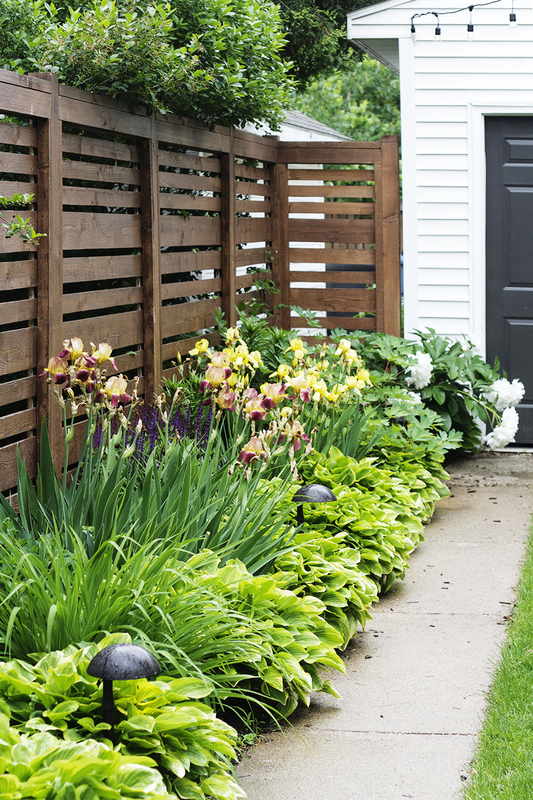 Along the edge of the walkway, I have placed Golden Tiara Hostas every two feet or so to make a border. Our first summer at our house I bought two of these Hostas at a garage sale for five bucks! I stuck them in the yard and then split them for two summers. By the time I got to the third summer I was able to have enough of the Hosta plants to split them and run them the length of the garden. Along the back of the garden (against the fence) I have Caradonna Salvia and Asiatic Lilies placed to add color and texture. 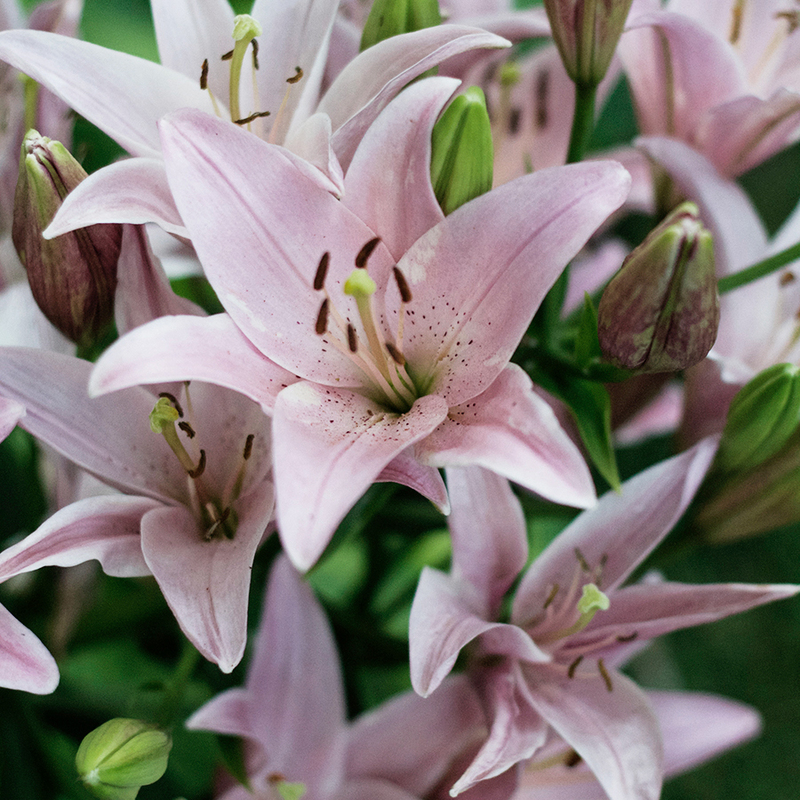 The lilies are from my Ma and Dad’s gardens, they are pink, beautiful, tall, and usually bloom in late June or early July. 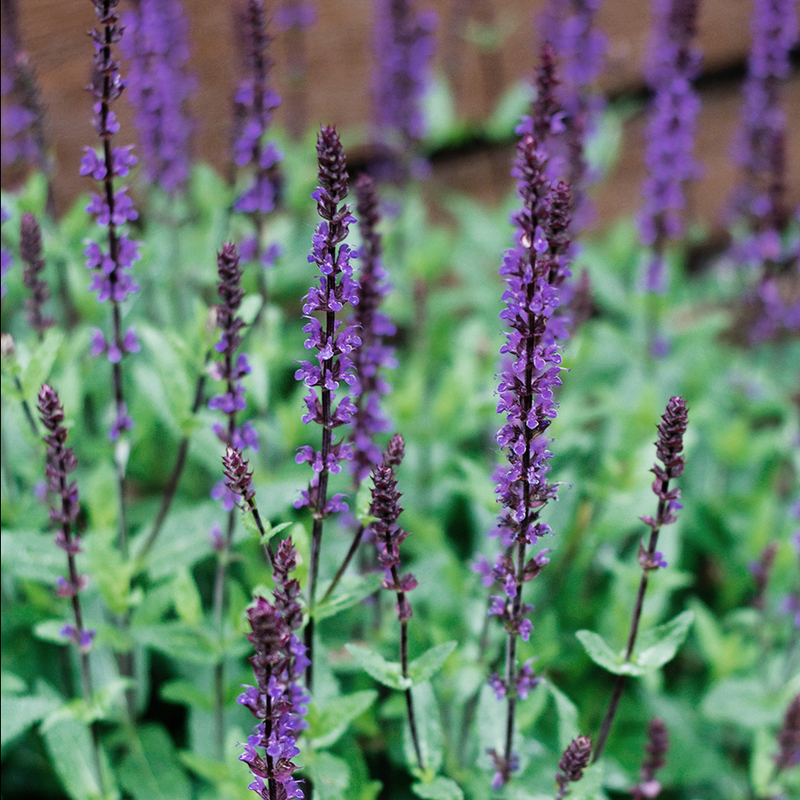 The salvia was store bought, but I only ever purchased one container, and then continued to divide it over the summers until I had enough to scatter throughout the garden. Towards the far end of the garden is a Peony and Bleeding Heart, both are growing in odd places, but are both thriving in this location (so I am in no rush to move them and disrupt the order of things). 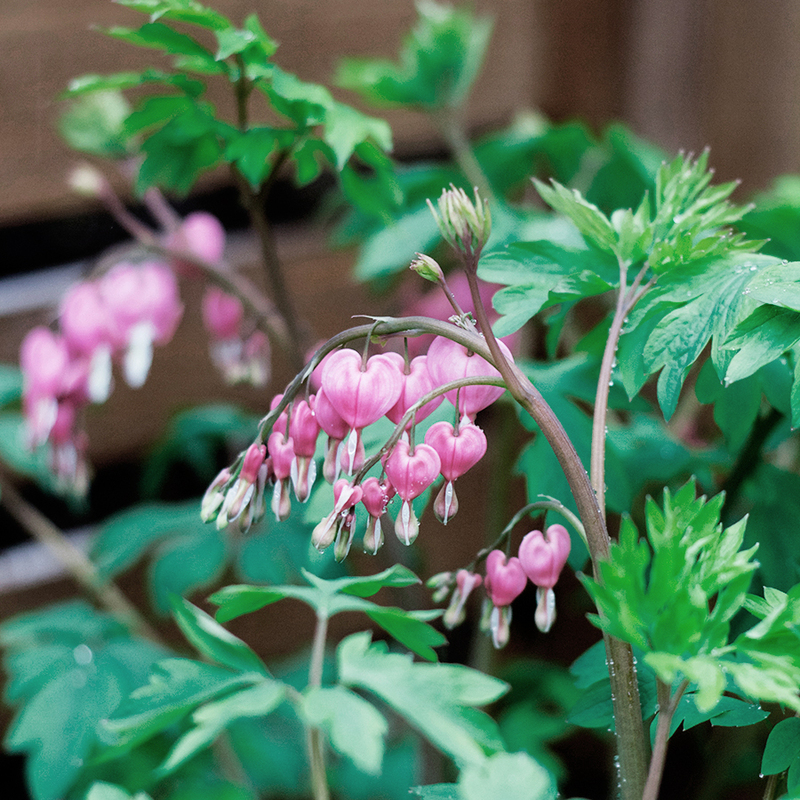 The Bleeding Heart was from my Mom’s garden, and is giant, it technically prefers less sunlight than it tends to get in my garden, but it seems so happy here – it’s magic! The boys’ and I argue over who gets to call it “their” plant as it is everyone’s fav. The Peony is from my best bud Nicole’s garden, and is thought to be from a 100-year-old peony bush original to her backyard. The Iris are all from my Grandma’s gardens, and have grown into huge mounds over the years. 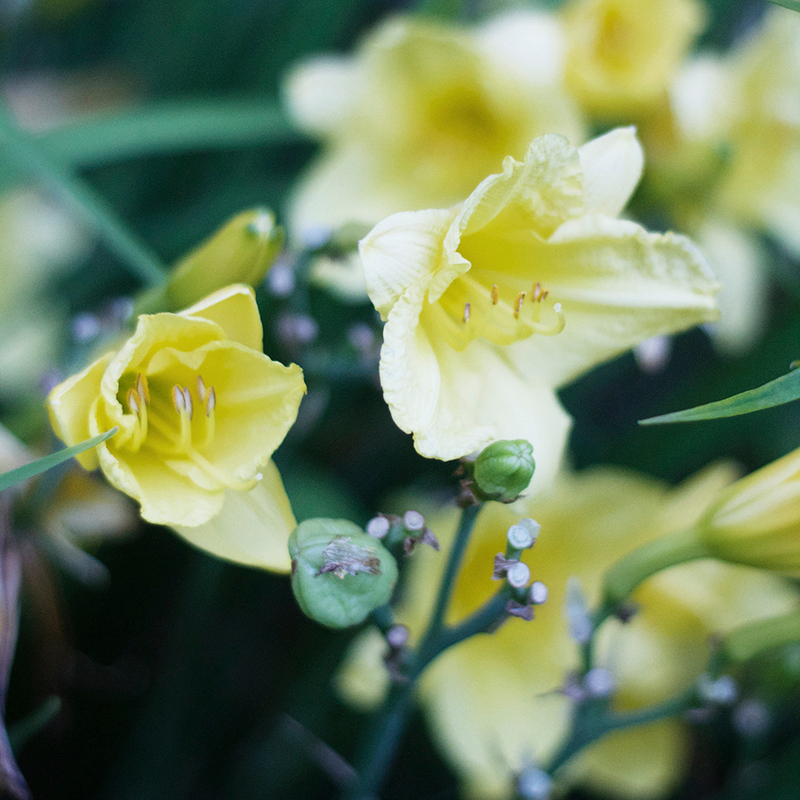 I have also added yellow Daylilies and pink Phlox, which are a welcome addition because they both typically bloom twice throughout the summer – you can usually find both of these at big box nurseries. Towards the end of the summer the Autumn Joy and Autumn Delight Sedum (aka Stonecrop) begin to show their fall colors and everything seems pretty well orchestrated. Starting out seven gardening seasons ago (this will be my eighth), I never had an intentional color palette for the garden. During the third or fourth season I dug everything out of this garden, divided everything and replanted it giving consideration to repetition, placement, height and color. The garden looked like a hot mess for half a summer, and I wasn’t sure it was all going to come back looking good the next year. Thankfully it did, bros! While the garden matured, I would fill it in the blank spaces with annuals, my fav being Zinnias. 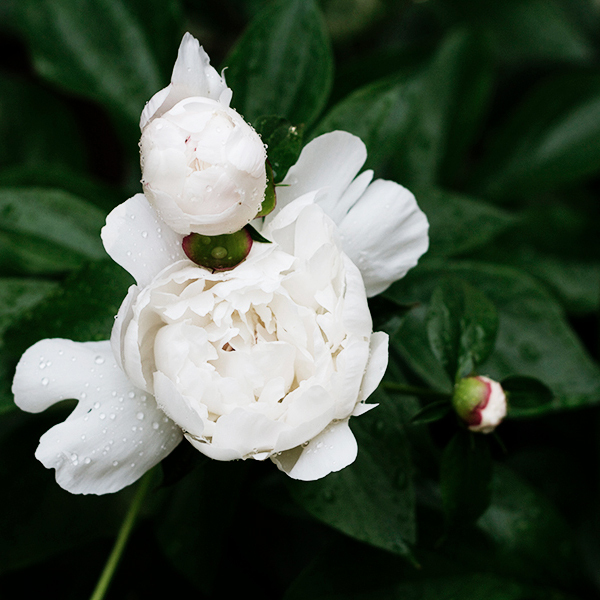 As time has gone on there is a repetition of pink, yellow and purple, and in the spring we get the white from the peony bush. Does well in all types of lighting conditions. Prefers less water, much like a cacti. Is nearly impossible to kill! Pink flowers, blooms in early spring. 18 – 24 inches tall and wide. Prefers shade, but can handle a little sun. White flowers, blooms mid to late spring. 2 – 3 feet tall and wide. Hot lavender flowers, blooms mid spring to mid summer. 10 – 12 inches tall and wide. 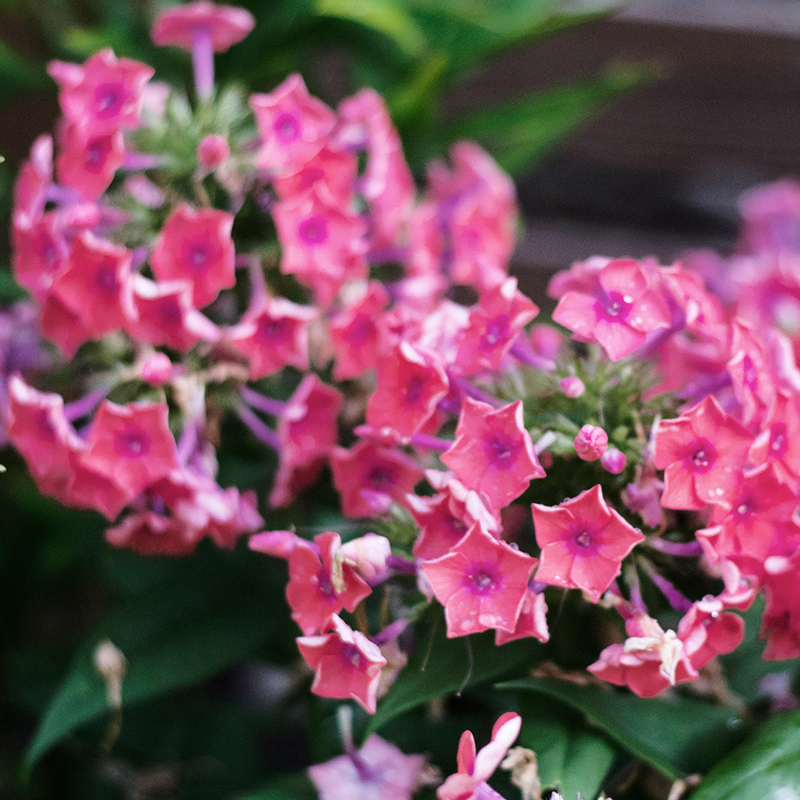 Purple flowers, blooms strongest in early summer and continues throughout the summer. 18 inches tall, 24 inches wide. Pink flower, blooms in late spring to early summer. 2 – 4 feet tall. Golden flowers, blooms in early summer and continues to sporadically bloom throughout the season. 12 – 18 inches tall. Hot pink flowers, blooms mid to late summer. 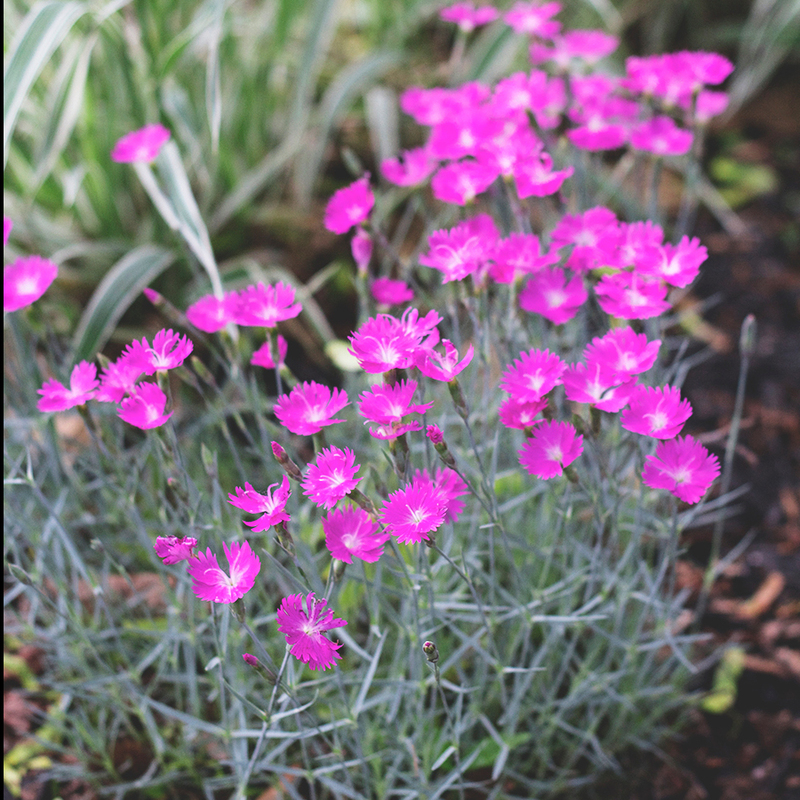 Pink flowers, blooms in early fall. 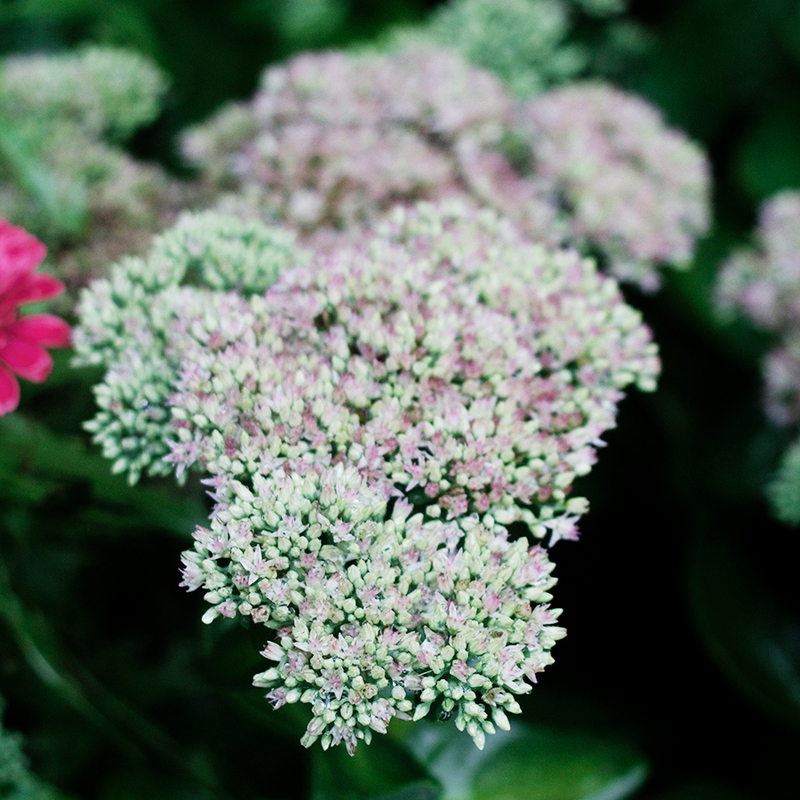 Pink flowers & lime foliage, blooms in early fall. Purple & Yellow flowers, blooms mid to late spring. Let me know if you have other questions and I’ll do my best to answer them. Guys, I can not wait until all these things start growing in my garden! Yay! I was hoping you’d do this. Thanks! It gives me so many ideas. Awesome! I am planning on continuing this for the rest of our gardens as well! Your garden is totally amazing! Serious gardening goals right here. 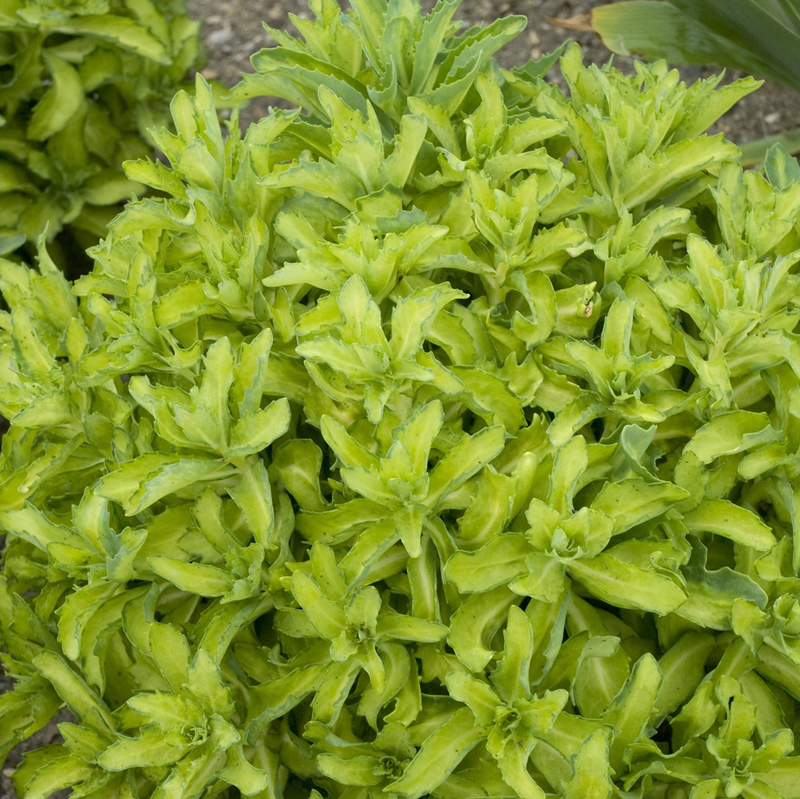 I’m really in love with hostas and would love to put some in my garden, but unfortunately the slugs love them even more so it seems like too much work! You seriously rock. Thank you for doing this! Your garden is gorgeous! Awh, Thanks Aileen! Ugh, slugs. I have only had to deal with them in my veggie garden and I know that they are not fun. That is such a bummer. You should google Heuchera, the leaves are beautiful and come in so many different sizes and colors – might be a good replacement for the Hostas. Oh man, the fire swamp sounds pretty scary! I will totally encourage you to tackle that space, that’s your space! Not the weeds and the rocks. Take it back! 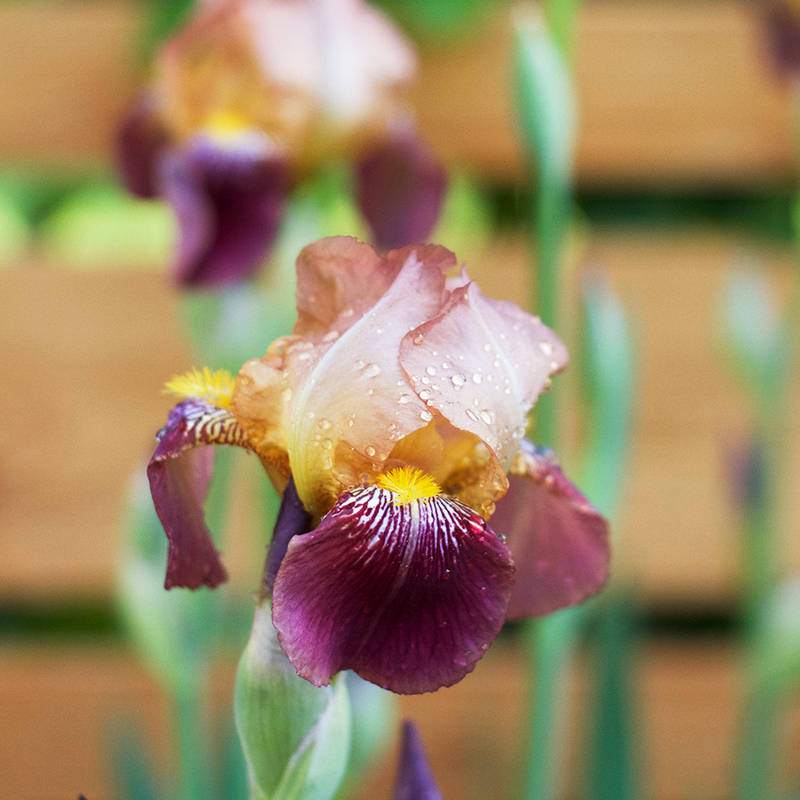 I’m so obsessed with your gardens — your blog is my go-to for MN gardening advice and inspiration!! I’l be breaking ground on a shade garden in my yard this year (probably this weekend, actually, with it being 75 DEGREES and all!!! ), dividing some hostas, and hoping the bunnies and my dog can leave it alone. Thanks so much for your constant inspiration to us MN homeowners! Hey Amy! Yes, this weekend is going to rule and perfect for gardening. 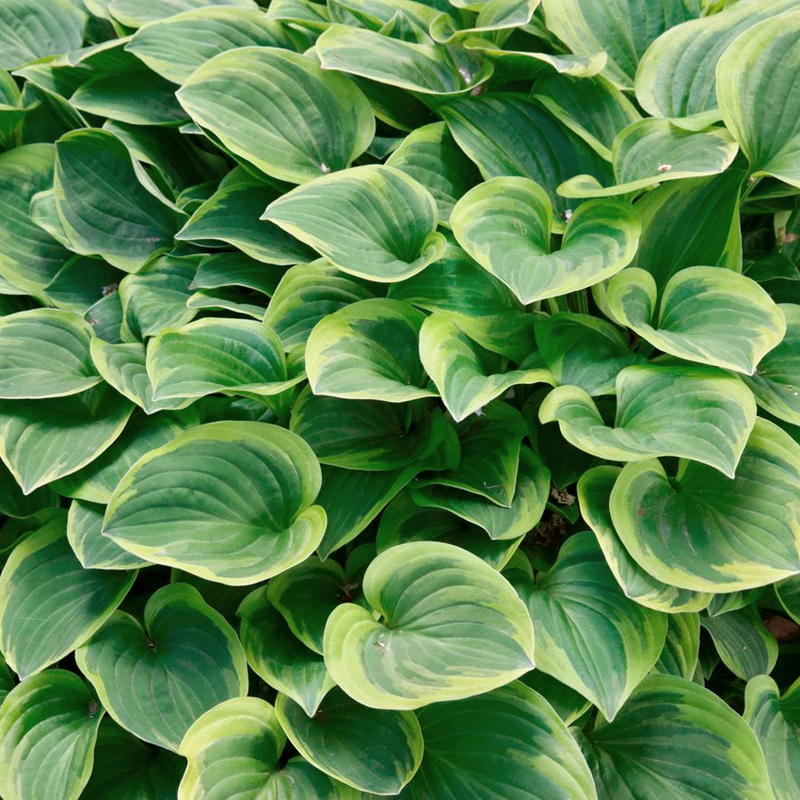 Now is the time to divide pre-existing hostas so that they can grow in in nice mounds and not look mangled all summer long. I’m flattered that my MN people like my gardens so much, thank you! Did you build the privacy fence? It is lovely. Could you post the how-to’s on that? Thanks!